I wanted to let you know Scripps College will be honoring and celebrating Paul's life this Saturday January 8th at Scripps College, 4:00PM at Seal Court, (the heart of the Ceramics Dept during Pauls tenure at Scripps). Scripps College is located at 1030 Columbia Ave, Claremont Ca 91711, and Seal Court is just inside the building with the handicap ramp on E 9th street, around the corner from Columbia Ave.
Bring your favorite story about Paul, your dancing shoes, and a full heart. It is with great sadness that I am writing to tell you that Paul died this morning at home in Claremont. After spending a wonderful Christmas week together, with my husband, our two children and Pam, Paul started sleeping more and more over the past week and after celebrating making it to 2011, slipped away peacefully two days later. I will be posting plans for celebrating Pauls life in the next several days. In the meantime please feel free to call friends and share the following. Paul Soldner, artist and innovator in the field of ceramic art, passed away at the age of 89, at his winter home in Claremont, California, on January 3rd, 2011. His life was one of vision, inspiration and teaching. As a professor at Scripps College and Claremont Graduate University, and through workshops he conducted around the world, he influenced generations of ceramic art students who found in Soldner an artist who was both internationally acclaimed and personally accessible, a teacher who taught not by rule, but by example. There are those artists who are born into a solid, well-ordered artistic tradition, and create entirely within it. Others deny tradition and work as idiosyncratically as they please. A few, the giants, go on to dominate the tradition they helped bring into being. Paul Soldner was one of these. Born in Summerfield, Illinois on April 24, 1921, Soldner hadn’t planned to be an artist: he started out as a pre-med student, then enlisted into the Army Medical Corps as a conscientious objector, serving with Patton’s 3rd Army at the Battle of the Bulge. His unit was one of the first to encounter concentration camp survivors fleeing the infamous Mauthausen Concentration Camp in Austria as the camp was liberated. Confronting the horror of the Holocaust face-to-face eventually ignited in Soldner a passion to create beauty through art. He started with an interest in photography, but at the age of 33, Soldner decided to become a potter. He headed for the Los Angeles County Art Institute, and became Peter Voulkos’s first student, earning an MFA in 1956. At Otis, Soldner explored creating monumental “floor pots,” or sculptures, which stood up to eight feet in height, often with expressionistically painted areas on the forms. It was also at Otis that he designed and ultimately began the manufacture of the Soldner potters wheels and clay mixers that became Soldner Pottery Equipment Inc. In 1957, Soldner began teaching at Scripps College and the Claremont Graduate University, in addition to curating the now famous Scripps Ceramic Annual exhibition for 37 years. Throughout his career, Soldner’s artwork often mirrored contemporary issues and ideas expressed by using culturally familiar shapes impressed on three-dimensional sculptures or on two-dimensional wallpieces. Soldner’s artwork has been collected by major museums worldwide and exhibited in the United States, Europe, Canada, Latvia, Japan, Taiwan, Korea, and Australia. In 1957, Soldner and his wife, Ginny, began building their home and studio by hand in Aspen, Colorado. The principle that architecture should improve with age directed his designs. To that end, he used rocks and wood native to the area. The Soldner compound was one of the first in the area to acknowledge environmental concerns by using the sun’s energy with solar power for heating. 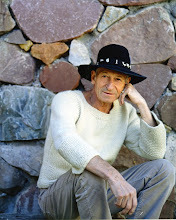 In the 1960s, while living in Aspen, he co-founded Anderson Ranch Arts Center in Snowmass Village, Colorado. Paul had a passion for life and enjoyed the pleasures of living, including making his own wine and jewelry, growing bonsai, and designing hot tubs for himself and friends. He wrote numerous articles and two books, Nothing to Hide, and Kilns and Their Construction. Soldner has been the subject of three documentary films and is listed in Marquis Who’s Who in America, American Art, and the World. Paul Soldner leaves behind his daughter Stephanie Soldner Sullivan, his son-in-law Garrett Sullivan, grandchildren Colin and Madelyn Sullivan; and his sister Louise Farling. Paul has had a wonderful fall. After returning from Aspen he regained some strength and enthusiasm for living. He enjoyed visitors, watching the birds outside his window and basking in the mellowing sun in our backyard from time to time. Now the days have shortened, portending winter and a need to hibernate and Paul is feeling it too. He has returned to sleeping more and more and tires easily. As always he is not in pain and seems content. We feel so fortunate that Paul has been able to remain at home surrounded by people who know and love him. We continue to enjoy and appreciate each day together. My family, Garrett, Colin, Madelyn and I are in Claremont for the holidays with Paul and Pam. We are staying close to home, baking, watching movies, playing Paul's favorite music and hanging out. On December 21st the sun begins a rebirth, returning to the Northern Hemisphere and lighting up our lives again. We hope you are also able to savor time with loved ones and welcome the lengthening days!